The second day of the playoffs for Euro 2020 begins this Sunday. 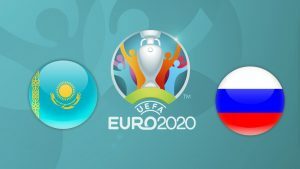 In group I, Kazakhstan receives Russia. Both teams will want to win. Kazakhstan struggles to be well represented on the national scene. The selection took the last place in his qualifying group for the 2018 World Cup without succeeding in winning any match (3 draws and 7 defeats). In the League of Nations, the Kazakhs finished 2nd in Group 1 of the D League, behind Georgia but ahead of Latvia and Andorra. Surprising quarter finalist of the last World Cup, Russia has greatly benefited from the support of its public to achieve such a course. Subsequently, Artem Dzyuba’s partners finished 2nd in Group 2 of League B of the League of Nations. They missed first place because of a conceded defeat in Sweden on the last day (0-2). Few elements are known to the general public, as evidenced by the presence of 19 players in the domestic league. The young and promising midfielder Rostov Zaynutdinov (20 years, 3 goals in 8 caps) is there as well as the experienced Logvinenko (49), Malyi (30), Beisebekov (24), Islamkhan (36), Kuat (23 sel) and Murtazayev (20 sel). After the international retreats of goalkeeper Akinfeev, brothers Ignasevich or midfielder Samedov, the strong forward Dzyuba is the new Russian captain and he will be supported by defender Mario Fernandes, midfield Golovin, Cheryshev and Miranchuk and forwards Dzyuba and Smolov. Note the absence of Zobnin, Kutepov (injured), Yerokhin and Dzagoev. Superior to his opponent of the day, Russia has the assets to win this Sunday.